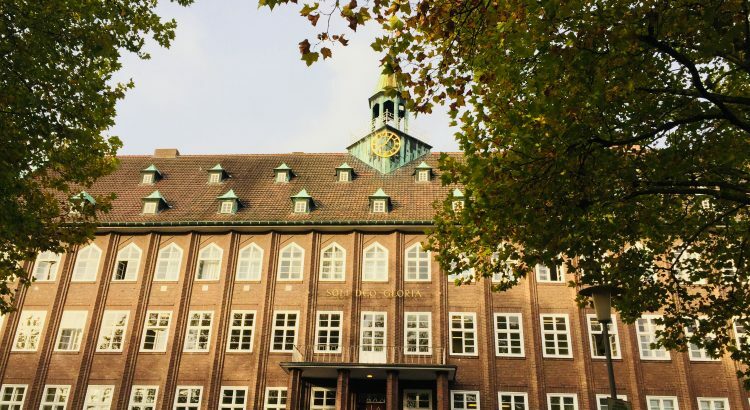 Zur Veröffentlichung des eingereichten Berichts der IB Kandidaten und Kandidatinnen der Q1 ist das Blog-Team natürlich noch „temporaly available“. In gleich drei Sprachen wurde uns der folgende Text zur CAS (CAS steht für creativity, activity, service) Fahrt zur Verfügung gestellt. We`re very impressed! Lest auch ihr hier über das Abenteuer am Lippesee! … steht im IB learner profile. Um das unter Beweis zu stellen, haben wir uns am 22. 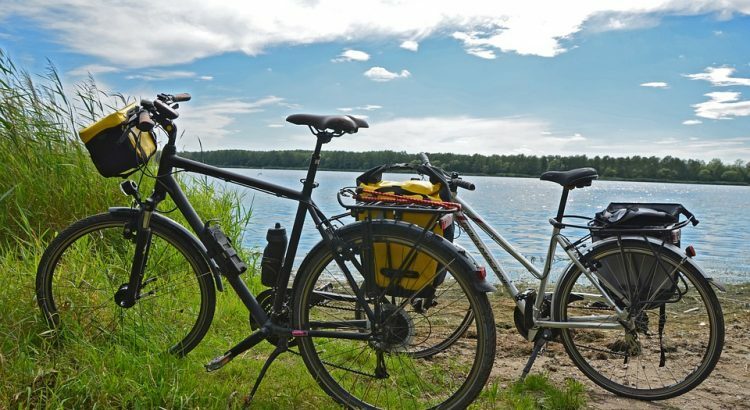 September zusammen mit Herrn Rasche und Frau Ogoniak auf eine Fahrradtour zum Lippesee nach Paderborn gemacht. Gut, die Fahrradtour an sich war jetzt vielleicht noch nicht das größte Risiko, denn, wie sollte es anders sein, waren alle brav mit Fahrradhelmen ausgestattet. Aber Campen pünktlich zum Herbstanfang bedeutet eben auch: Wird das Zelt im Regen halten? Wie viele Lagen Pullover kann man bei Temperaturen unter zehn Grad übereinander anziehen? Und: Wo ist hier überhaupt der nächste Supermarkt? Glücklicherweise spielte das Wetter aber auf der Hinfahrt mit und wir erreichten gegen Mittag den Campingplatz. Als dann die Zelte standen und sich alle gestärkt hatten, ging es mit einer musikalischen Einlage samt „cup-song-contest“ weiter. Auch die ersten Lagerfeuerlieder wurden bereits zu so früher Stunde angestimmt. 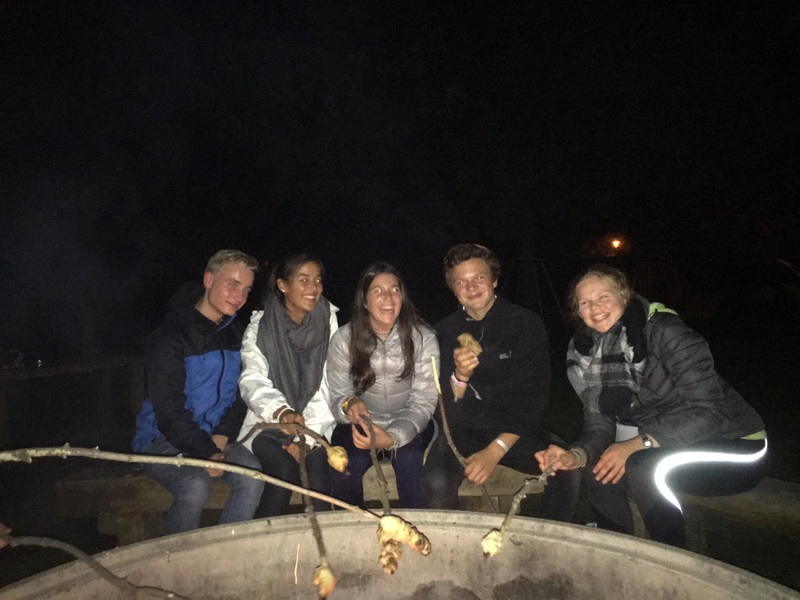 Gegen Abend kamen noch weitere Lehrerinnen und Lehrer dazu und nach dem gemeinsamen Grillen versammelten wir uns um das Lagerfeuer herum, um ein paar Lieder zu singen und Marshmallows zu grillen. Auch eine Runde Denglisch-Tabu durfte nicht fehlen, bevor wir uns dann vor einem Regenschauer in unsere Zelte flüchteten. Ausgestattet mit diesem Kompass für die nächsten zwei Jahre machten wir uns mit Herrn Kühle und Frau Strangmann wieder auf den Weg nach Gütersloh. Insgesamt war unsere CAS-Fahrt also ein gelungener Einstieg in das „Survival-Abenteuer“ IB. “As IB learners we strive to be risk-takers” as it says in the IB learner profile. To prove this, we made our way on a camping and cycling trip on September 22nd. The route was 35 km from Gütersloh to the Lippesee in Paderborn and we were accompanied by Ms. Ogoniak and our CAS coordinator Mr Rasche. Although fairly long, the bicycle trip was bearable. But camping at the beginning of autumn presented our CAS group with questions like: Will the tent be waterproof for the whole night? How many layers of clothes can we wear in under ten degrees? And: Where is the next supermarket? Luckily though, the weather was on our side on our bike ride and we arrived at the camping site around midday. Once all of the tents where standing and lunch was eaten, we showed our musical ability with a “cup-song-contest” and while practicing some camp-fire songs. But first on Friday evening, some more teachers joined us for the barbeque followed by a campfire. We sang songs, had marshmallows and played a few rounds of Denglisch-Tabu before disappearing into our tents to avoid the rain. 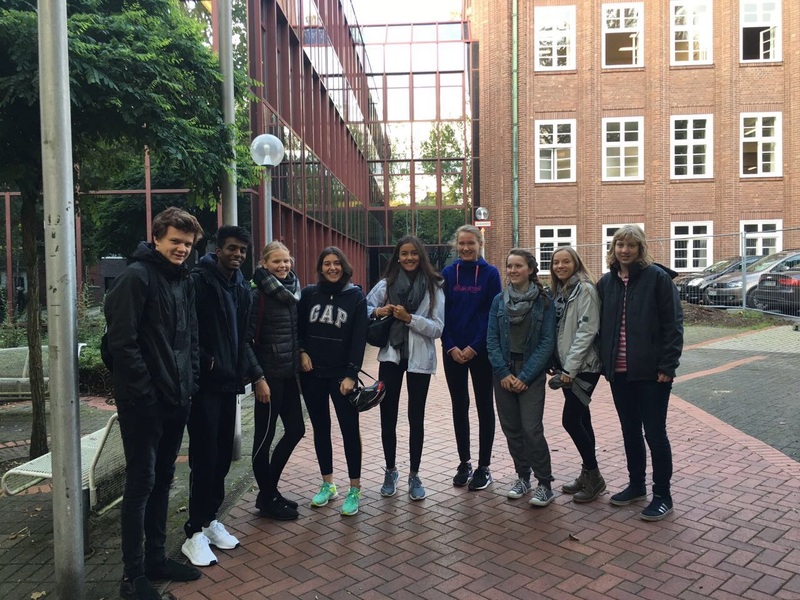 Equipped with our compass for the next two years, our CAS-group survived several hours of cycling, the introduction to CAS, and camping in the rain before cycling back to Gütersloh with Mr Kühle and Ms. Strangmann. All in all, our CAS-trip was a successful start into the “survival-adventure” of IB. En el perfil de la comunidad de aprendizaje del Bachillerato Internacional pone: “As IB learners we strive to be risk-takers”. Para poner esto a prueba, nos fuimos del 22 al 23 de septiembre junto con el Sr. Rasche (coordinador de CAS) y la Sra. Ogoniak al Lippesee (en Paderborn) en bicicleta. Bueno, pero el viaje en bici no fue nuestro mayor reto, ya que todos nos portamos genial y llevábamos un casco. El mayor reto fur irse de acampada a principios de otoño. Eso significaba: ¿Aguantará la tienda de campaña a pesar de la lluvia? ¿Cuántos jerseys me puedo poner con una temperatura de bajo 10 grados? y ¿Dónde esta el supermercado más cercano? Por suerte brilló el sol en el viaje de ida y llegamos al camping sobre el mediodía Cuando todas las tiendas estaban montadas, seguimos con un “cup-song-contest”. A media tarde ya empezamos a cantar las canciones de la fogata para ir calentando el ambiente. Por la noche llegaron un paar de profesores más junto a los que hicimos una barbacoa. Después de cenar, nos sentamos todos al rededor de la fogata y cantamos canciones y comimos nubes. Antes de que nos tuviésemos que refugiar en nuestras tiendas por la lluvia, no faltó jugar a una partida de Denglisch-Tabu. Equipados con toda esta información para los próximos dos años, nos pusimos de camino de vuelta a Gütersloh junto con el Sr. Kühle y la Sra. Strangmann. En resumen fue un viaje exitoso que nos dio la perfecta entrada para la „Survival-Abenteuer“ del IB.